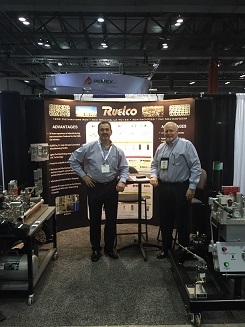 Ruelco features a fully operational and fully integrated, climate controlled 60,000 square foot machine shop located in New Orleans, Louisiana. Using the latest in machine tools, our team can meet all of your machining needs. We also feature a lean machining process combined with a lights out program to optimize machine performance and capability. Using our experienced team of expert machinists and engineers, you have the knowledge that your product will always be manufactured to the highest quality and standards. 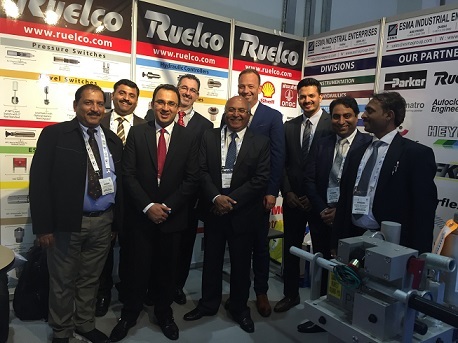 Ruelco has an ISO 9001 certified Quality Assurance and Quality Control program that enables to provide only the best parts to our customers. Ruelco is also able to offer a wide range of products that meet the latest requirements of NACE, ATEX and SIL. Ruelco uses the JobPack scheduling system to monitor job status and schedule planning. This ensures that all machined parts are available when needed by our customers. Ruelco also utilizes the GibbsCam software to enable our machinists to program more efficiently and cost effectively. This product also allows our machinists to make complex parts which before now were difficult to program. Ruelco is able to take the terms lean manufacturing and lights out manufacturing to a new level by using the advanced CNC features in combination with our trained machinists. All of our automatic CNC machines are run at night to increase our production day by at least 4 hours per machine. This gives us a great advantage in the market by providing parts and services more quickly and with an overall reduction in cost. 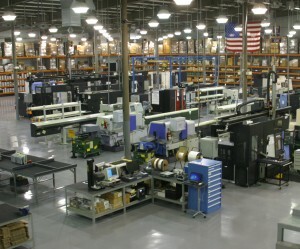 Ruelco employs a “machining cell” design to increase productivity. The cells are designed with function and space in mind, in order to eliminate multiple movements of parts from machine to machine. Machines which are put into the same cell are done so to give each cell a full range of tooling capabilities. This allows each cell to act independently of each other, but to deliver the flexibility and diversity which is required during the machining process. Ruelco can provide precision cutting of bar stock with the use of our CNC saws. These CNC saws can cut in bundles or individual bars to any specified length. Ruelco facilities contain a fully integrated assembly and testing area. This means that we have the ability to not only manufacture components, but also build and test them at one location. Feel free to contact us with your custom manufacturing requests.